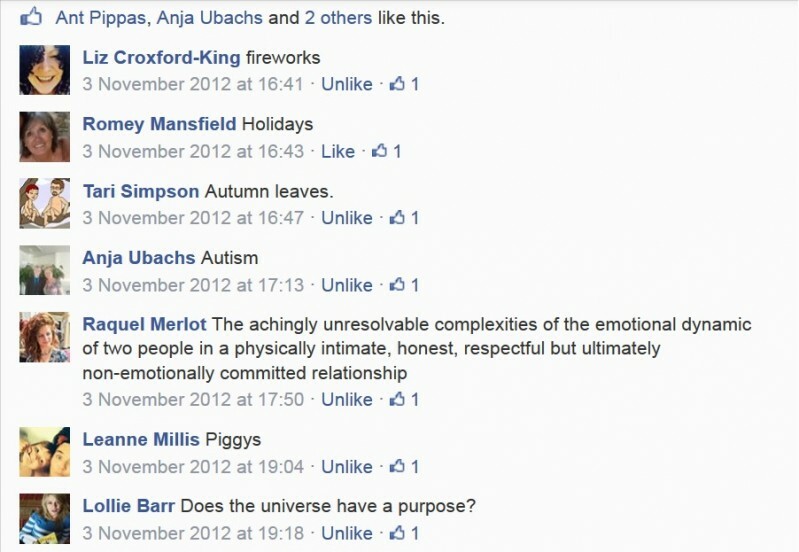 Does the Universe have a purpose? Is this just a joke? What is it I’m here for? I’m just yer average bloke. Sometimes the Lads come over for a pizza and a beer. We often end up wrestling but no one calls us queer. I love to play the field, see. So, married life: I can’t. I like’em all enough to do the do with them again. There’s this quiet little rumble that yer just not understood. Once, a part of some great tree; now, decomposed beneath. I’m not the tough guy you all know and love as that guy, Rex. I’m soft, yer see, and sometimes I just wanna run away. I think it’s time to book my flight. I need a holiday.